What is it about kids and animals? 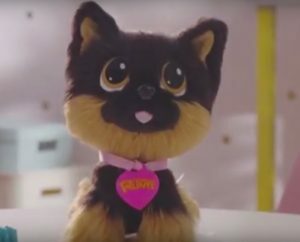 Doesn’t matter whether they’re made of flesh and blood or artificial materials, kids love ‘em—and so do we. Here are some of our current favorites. 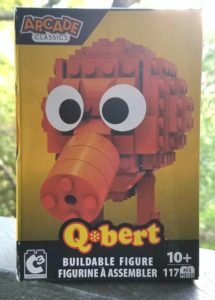 This entry was posted in Reviews and tagged bridge direct, calico critter, hamster, hasbro, just play, playmobil, qbert, zuru on May 11, 2018 by Parents@Play Team. It’s that time of year again, when Peter Cottontail and all his bunny helpers hop into homes with treat-filled baskets and toys for good little boys and girls. 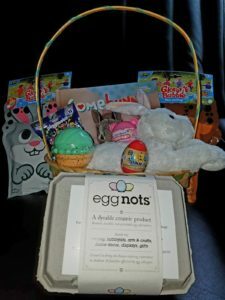 Here are some of our favorite non-food items to fill your kiddos baskets with. This entry was posted in Reviews and tagged egg nots, just play, stikbot, zing on March 30, 2018 by Parents@Play Team.